Home » Blog » SolidWorks ServicePack: SolidWorks 2011 SP1.0 kan nu downloades. 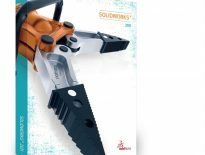 SolidWorks ServicePack: SolidWorks 2011 SP1.0 kan nu downloades. Inden vi over overhovedet har været i stand til at sende SolidWorks 2011 ud på DVD er nu servicepack 1.0 til SolidWorks 2011 allerede kommet. 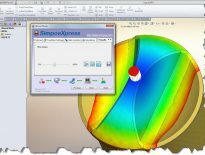 Med den nye SolidWorks Downloader er det dog blevet den del nemmere altid at være på nyeste servicepack (se bloggen ”SolidWorks 2011 SP0 er her” fra den 21. okt. 2010). Udover at der er blevet rettet nogle bugs, har SolidWorks tilføjet en del forbedringer på PhotoView 360. · There is improved performance, stability, and memory consumption when using Integrated Preview. · The PhotoView Preview window no longer opens when using Integrated Preview and initiating a final render. · There was an issue when working with large assemblies that PhotoView 360 preview would not start. This issue is resolved. · Clicking the mouse in the graphics area no longer cancels the PhotoView 360 Options PropertyManager. Click OK or Cancel in the PropertyManager. · In PhotoView 360, set up a physical light (point or spot lights work best to simulate caustics). · In PhotoView 360 Options, select Direct Caustics and set the Caustic Amount and Caustic Quality values. Larger values for Caustic Amount increase the visible area and intensity of caustics that are cast. Larger values for Caustic Quality increase the visual quality of the caustics. Larger values for Caustic Amount and Caustic Quality increase rendering time. Note: Direct caustics are only visible in a final render; they are not visible in PhotoView 360 preview modes. · Integrated Preview now acts as a document-specific view mode. When you select Integrated Preview, it is locked to the document or viewport.